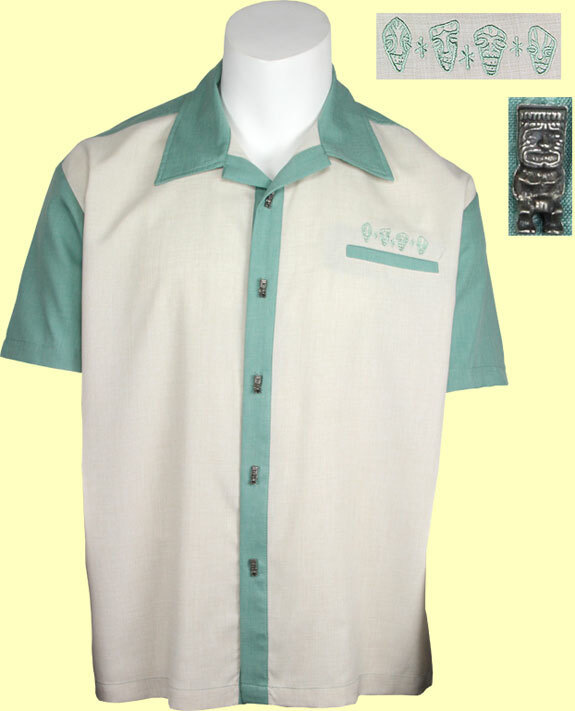 This is a classically styled seafoam green shirt with two front cream panels. Features a faux welt pocket, tiki mask embroidery and metal tiki inspired buttons. A great looking shirt that feels great too.